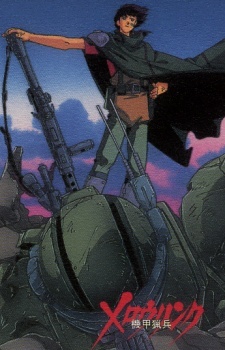 As the sole survivor from a squad that was sacrificed and hung out as scapegoats for embezzlement of military resources at the end of the 100 years war, Mellowlink Arity is out for revenge.Carrying the dogtags of his deceased comrades and armed with a dated anti AT rifle, he swears to hunt down and exact revenge on the corrupt officers that betrayed his squad, and maybe even uncover the truth behind the plot as well. Watch Armor Hunter Mellowlink Episodes Online at Animegg.org. Armor Hunter Mellowlink is available in High Definition only through Animegg.org. Choose an episode below and start watching Armor Hunter Mellowlink in Subbed & Dubbed HD now.